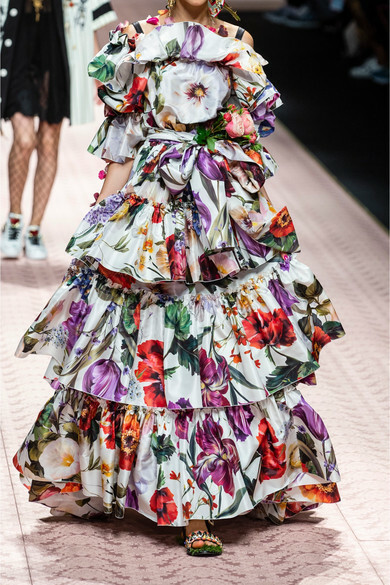 Dolce & Gabbana's gown is one of our favorites from the Spring '19 show - it was styled with ornate jewelry and the model wore bouquets of flowers in her hair. 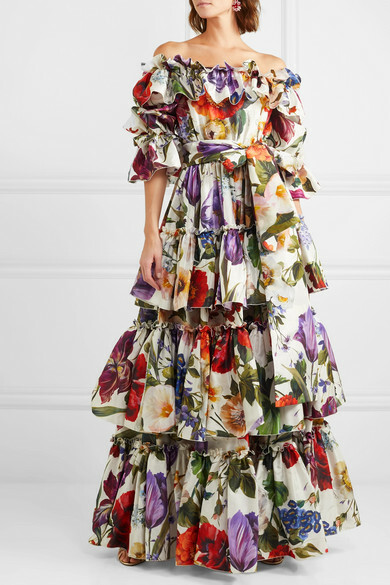 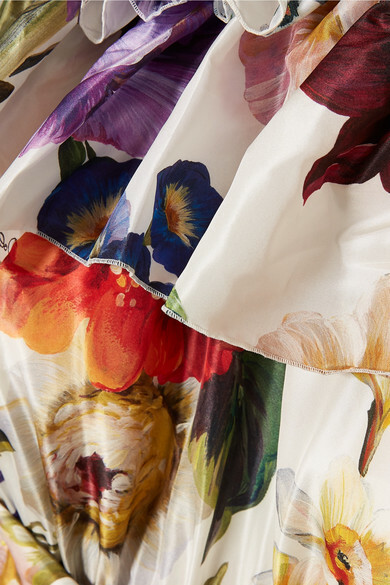 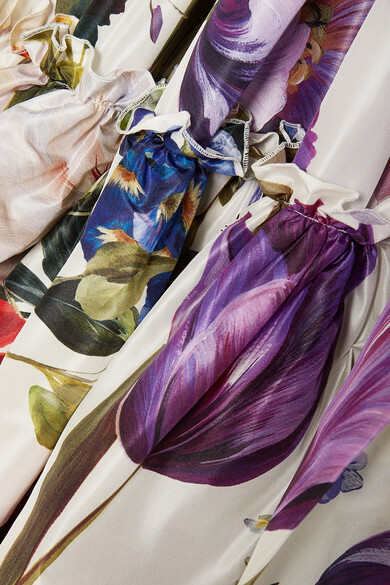 A piece made for midsummer weddings and special events, it's tiered from swathes of silk-satin patterned with vibrant florals, and has an off-the-shoulder neckline traced with ruffles. 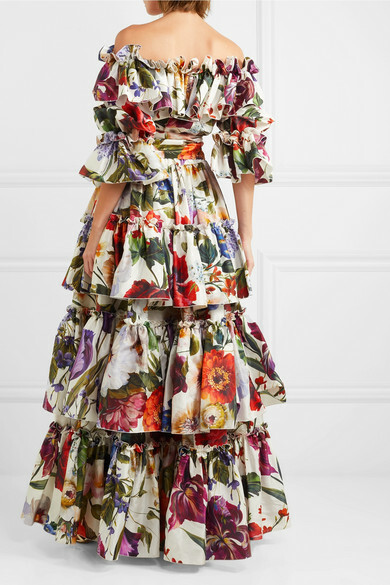 Define your waist with the oversized bow. 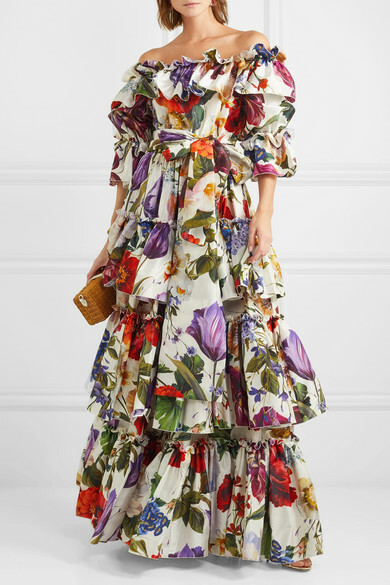 Shown here with: Miu Miu Shoulder bag, Prada Sandals, Chloé Earrings.